Richard was a senior manager within IT departments at Nottingham Trent University (and its predecessors) for 28 years, being involved in multi-million pound tendering exercises through to solving simple help desk queries. 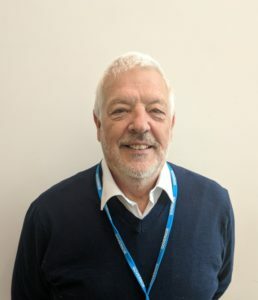 Since retiring he has become involved with the NHS, chairing his doctor’s Patient Participation Group and until recently on the Patient Reference Group of the Nottingham West Clinical Commissioning Group. He is also vice-chair of the governing body of Sunnyside Spencer Academy and chairs the Finance and Business Development Committee, complementing many years’ service as a trustee of The Nottingham Bluecoat School Foundation Trust, activities at St Barnabas Church, Chilwell including managing their Food Bank, and as a governor of the former Bluecoat School. To this vast experience, Richard adds skills in governance, strategic development and process management. John was born and grew up in Southwell, attended the Minster Grammar School and was ultimately appointed as Head Boy. He returned to the school as a teacher of Mathematics before taking up a number of posts in other local schools, culminating in his appointment as Head of The Joseph Whitaker School in Rainworth, a large 11-18 mixed comprehensivel. He served there as a successful Head for almost 20 years. Part of his vision for the school was to promote it as a specialist sports college using his love of sport as a means of raising academic achievement and promoting a healthy lifestyle to young people. John’s involvement in sport encompasses serving on the national Rugby Football Union Council for six years from 1995, just as the amateur game became professional. He has served on the Diocesan Board of Education and is currently a member of the Southwell & Nottingham Educational Trust. They are both members of the Minster congregation; both are Churchwardens Emeritus and John served on the Cathedral Chapter for six years, representing this body on the Cathedral Council over the same period. In 2013 he was appointed to the Cathedral College of Canons as an Honorary Lay Canon where he hoped specifically that his experience of education would allow him to make a contribution to easing some of the considerable challenges that our young people face in difficult economic times. He is a Justice of the Peace. James is a partner at Freeths Solicitors with special expertise in the local government sector, advising on such subjects as property acquisition and disposal, regeneration and development. He represents the Nottingham Bluecoat School Foundation to the Trust. Tim is a Diocesan appointee and is currently Rector at St Leonard’s, Wollaton, Nottingham. He has many years’ experience of school governance, including serving as Chair of Governors. He is a member of the Southwell & Nottingham Diocesan Board of Education. Tracy is a Member by virtue of being Chair of the Board of Trustees – see her details below. Nigel Spraggins represents the Diocese of Southwell and Nottingham which is a corporate member of the Trust. As Chief Executive of the Diocese, he is responsible for delivering its mission and ministry strategy. He oversees the implementation of diocesan policies, administration and support and applies the strategic steer for diocesan business. 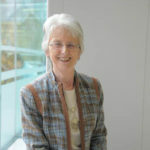 Jane is the Director of the Nottingham Institute of Education at Nottingham Trent University. Prior to this, she has spent her professional career in both compulsory and higher education contexts, working as an English teacher in a diverse range of schools before moving into university roles. 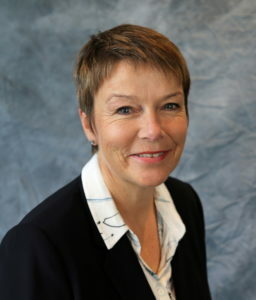 Prior to taking up her position at Nottingham Trent University, Jane was the Head of the School of Teacher Education at Liverpool Hope University, and whilst there, served on the Board and as Vice-Chair of Governors at Hope Academy, Newton. Jane is especially passionate about the ways in which schools, universities and other organisations can work together to improve life chances for children and young people. Margaret lives in West Bridgford and worships at St Paul’s Church, Boundary Road. She is a Chartered Librarian and worked in colleges and universities where she managed learning resources services, ran information skills courses and delivered professional training sessions. In the second part of her career, she was involved exclusively in staff management and development and quality enhancement projects at De Montfort University where she was also a qualified NVQ Assessor and Verifier. She is a Fellow of the Chartered Institute of Library and Information Professionals and has a Masters in Library Management. She was particularly involved in the assessment of both professional and para-professional qualifications and Fellowship Awards and was Chair of the Institute’s Chartership Board. She is a magistrate on the Nottingham Bench. Her thirty years as a member of Soroptimist International has given her the opportunity to pursue her passion for education as the key to improving the lives of women and girls worldwide. She served on the Federation Management Board for eight years and in 2014 was President of the Federation of Great Britain and Ireland. She is Secretary of the Nottingham Soroptimist Club and is supporting Soroptimists across Africa to plan the formation of their own Federation. Before joining the Archway Board of Trustees, Margaret spent two years as a governor of Nottingham Emmanuel School. Before joining ASCL as a consultant Tracy was a Head Teacher at a large outstanding Academy in Nottingham City. Prior to that she was Head Teacher at a secondary school in Staffordshire. When she joined the Staffordshire school it was a ‘national challenge’ school with very low attainment (19% 5ACEM) and achievement. Prior to leaving, the school was awarded the SSAT most improved maths and computing college in the country in 2011 and the top 100 most improved schools for progress in the country in 2012. It was also judged to be ‘good’ during a full Ofsted inspection in 2011. When she left the school the 5ACEM had risen to 64%. Tracy originally trained as an English teacher and has taught in a range of secondary schools across 6 different local authorities. 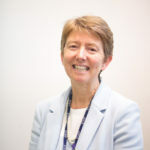 Prior to taking up her first Headship Tracy held a variety of leadership roles in good secondary schools including Head of English and Deputy Head in charge of teaching & learning and school evaluation. She has been a school governor for most of her 32 year career. Tracy was elected Chair of the Board of Trustees on 23 October 2018. 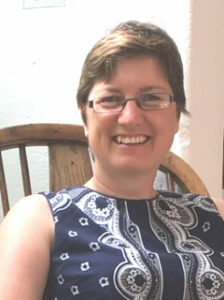 Heidi has been part of the development of the Nottingham Emmanuel School from its outset in 2000 until she stood down as Chair of Governors in April 2018. She also has relevant experience of system leadership as a National Leader of Governance (2015-2018) and as a member of the Southwell and Nottingham Diocesan Board of Education (2006-2017). She is passionate about the interface between education and faith in the Church School sector and is an Associate Tutor with Liverpool Hope University, having helped develop a successful online course for governors of Church schools 2017/18. Professionally, she is a trained Probation Officer, but since 2006, she has managed the Primary 6 Partnership (P6P), a group of large primary schools working on school improvement projects together in Nottingham City. In addition she works as Community Organiser for Nottingham Citizens, part of Citizens UK, to support a broad based alliance to work together and campaign for the common good and to promote social justice in the City. Nigel Spraggins is Chief Executive of the Diocese of Southwell and Nottingham which is a corporate member of the Trust. He is responsible for delivering the Diocesan mission and ministry strategy. He oversees the implementation of diocesan policies, administration and support and applies the strategic steer for diocesan business. Paul spent over 50 years involved in secondary education, holding two headships in Leicestershire and Nottinghamshire, working as an inspector in Nottinghamshire and leading a number of government-funded education improvement projects. On retiring from Headship Paul became Director of the national ‘Centre for the Study of Comprehensive Schools’ (CSCS) for three years before returning to lead school improvement initiatives in Nottingham City and the County. Brought up in Leicester City, Paul developed a lifelong interest in mountaineering from his experiences as a member of his local church Scout Group and for many years led outdoor pursuits activities for his own students and for the Local Authority. His most recent work in Nottingham City was as the Local Authority’s manager for the development of the three sponsored Academies, in Broxtowe, Bulwell and Sneinton/St Ann’s. This experience has been invaluable. In the past he was a Governor of a local Primary school in Loughborough, which became an Academy where he chaired the Finance Committee. For 20 years Paul has been a civilian member of the Governing Body of Welbeck College, ‘The Defence 6th Form College’, where he chairs the Curriculum Committee and takes an active role in College functions including House Visits, services, events, parades etc. Karen is a marketing leadership professional with over 25 years’ experience developing and delivering successful marketing strategies for the private and not for profit sectors. Formerly Deputy Director of Marketing at Sheffield Hallam University, Karen retired in May 2018 and joined the Archway Board of Trustees shortly after that. Karen has significant experience of leading and implementing change management and also has a track record of successfully developing and empowering people to achieve their full potential.